Bill O’Reilly offered up some of his so-called “no-spin” commentary on Monday, warning the world that Fox News host Laura Ingraham is the target of radical groups who will stop at nothing to take her down. “The tweet from @IngrahamAngle was ill-advised and Laura has apologized. But know this: the sponsor boycott is not some spontaneous uprising by companies. It is being directed by powerful, shadowy radical groups who want Laura Ingraham off the air,” said the former Fox News host. “There is no question that if you are a conservative commentator in America, elements on the far left will try to harm you. The Laura Ingraham situation clearly illustrates what is going on,” he added. 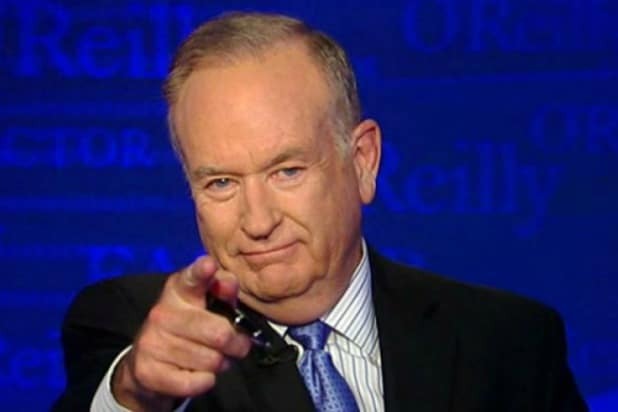 The subject is one O’Reilly is well-suited to opine on as his own Fox News show “The O’Reilly Factor” was taken down by an advertiser boycott led by the liberal media watchdog group Media Matters for America. Though Parkland shooting survivor David Hogg first initiated the boycott against Ingraham, the cause has also been taken up by O’Reilly’s old adversary. Last week Media Matters published a list of more than 100 Ingraham advertisers, which Hogg and other Parkland survivors urged their millions of followers to reach out to. “You can expect more advertisers to leave,” Media Matters president Angelo Carusone told TheWrap last week. “The real question from a business perspective is: Why are they there in the first place? Fox News is reckless propaganda machine. It’s bad for business. This has been well established by now,” he added. By the end of last week, Hogg and the Parkland students appeared to have the upper hand muscling enough advertisers to dump Ingraham that the Fox News host was forced into taking a hasty “vacation” for the first week of April. “Have some healthy reflections this Holy Week,” Hogg tweeted out as Ingraham fled the field.